M.M.O.C.E (Massively Multiplayer Online Collaborative Experience) was my entry for Ludum Dare 33. It’s what I’m calling an asynchronous pseudo-multiplayer game, where you interact with other players, but not directly and not necessarily in an obvious manner. 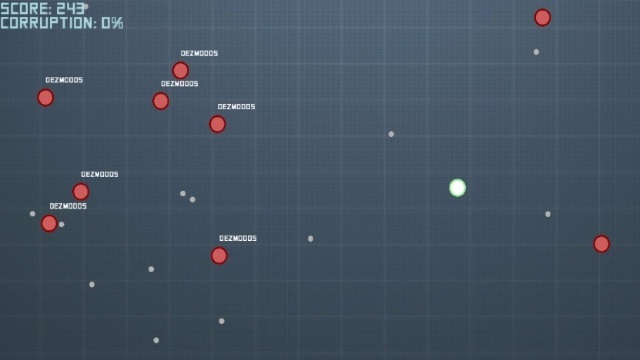 The game plays like a plain-and-simple arena shooter, but your actions (where you run, when/where you shoot) are recorded and used as enemies in other player’s games. Unfortunately this requires a server to be running, and I took the server down after the Ludum Dare voting had ended, so if you play it now you won’t get input from other players. I was one of three programmers on the project.